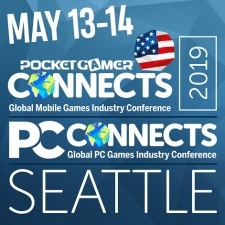 More than 750 gaming industry professionals will gather at The Grand Hyatt Seattle this May 13 to 14, as PC Connects makes its debut in the United States as part of the larger Pocket Gamer Connects event. If you haven’t already signed up - book now to save up to $150 - here are 20 reasons you should be there. Pocket Gamer Connects has nine wall-to-wall conference tracks across both days, which will contain content on everything from the latest development trends to monetization. As if that wasn’t enough mindblowing content, there are a bonus four tracks we’ll get onto in just a moment. 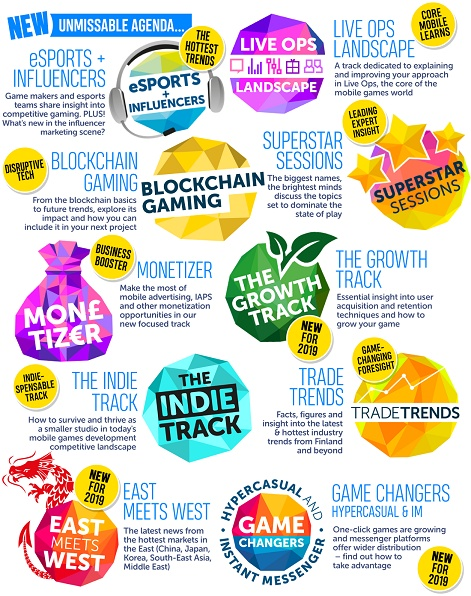 New conference tracks for 2019 keep our audience at the cutting edge of the industry, including influencer marketing and blockchain gaming, as well as company culture. Of course, the seminar schedule still includes classic topics such as market overviews, industry trends, and case studies. Remember those bonus four tracks we teased you with before? You just found them! Alongside Pocket Gamer, partner event PC Connects lands in the USA for the first time, bringing a further four unmissable tracks for any PC games professional. 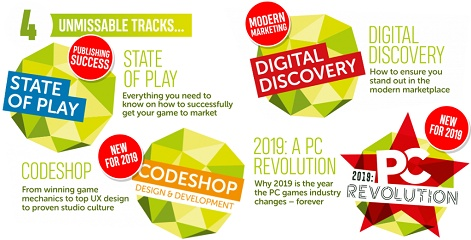 The seminars will feature topics including what it takes to make a game and how to bring it to the market, as well as what’s yet to come for PC. You can find out some of the speakers here. Your ticket will grant you access to both shows. That’s a lot of brains under one roof! The seminars will be delivered by 125 of the world’s leading authorities from the games industry as they share their experiences and insight with the audience. We have speakers from some amazing companies lined up for Seattle, including GameAnalytics, Netease, Minimob, Nexon Mobile, Joypac, Playfab, Seattle Indies and many more. You can find out more about the confirmed speakers here and here, with more joining daily. As always, the conference schedule will be packed with our trademark short, sharp seminars. With no time to waffle, our speakers get straight down to business and put their expertise and industry insight front and center. No other event puts you in touch with the global games industry like Pocket Gamer Connects. The event is called Connects because that’s exactly what all our delegates do - from students and indie studios to the media, publishers and international investors. Whether you’re looking for publishers for your latest game or investment for a new project, you’ll find 750 industry professionals on the show floor and in the conference halls. We’ve brought them together under one roof - the rest is up to you! Over 400 leading companies from the games industry will be represented at the show, including developers and publishers, investors, analysts, user acquisition and indies. Get ready! With 750 delegates and 400 companies to network with, you’ll need the tools to track down that elusive essential contact. We want to make life as easy as possible for you, so our online meeting scheduler is free to everyone that attends the show. We’re proud to be able to say that some big name industry sponsors are once more joining us for our West coast adventures. Sponsors such as Facebook, Mintegral, Lab Cave, Vungle, Playfab, and Flowplay back us because they believe in our Connects series and in what we do for the gaming industry. Mobile gaming has always been good to us since we first got together, therefore we will always love it unconditionally. But there’s always room for more love and you’ll find a lot of that for blockchain, PC, VR and AR, and handheld gaming throughout the expo. Starring as one of our featured tracks on day two, Blockchain Gaming will cover how to implement blockchain for your game, the impact of cryptocurrency and the opportunities it will offer developers in the future. Whether you’re a developer looking for help releasing your game, or a publisher seeking new titles to add to your roster, these sessions pair developers and publishers in a series of speed-dating style meetings. This is an incredible opportunity to find out what the world’s indie developers are working on - and what better way than to witness them head-to-head in competition? For contestants, this is a rare opportunity to learn from an expert panel of judges as they vote for the most original, entertaining and polished games. New for 2019, Investor Connector pairs selected professionals looking for funding with interested investors active in the sector for pre-qualified one-on-one meetings. You could find your funding from one of these hot prospects in Seattle. More than 18,000 industry professionals have attended the Connects international conference series since 2014. Since then, the roadshow has landed in the UK, North America, Canada, Finland and India with a genuinely international client base. On average, delegates from more than 45 countries attend each event. As a truly global series of industry events, you will meet C-level executives from America, Europe and Asia at Pocket Gamer Connects. Pocket Gamer Connects returns once more to the USA in 2019, but this time with a new destination. This May, the show heads to Seattle for the first time, bigger and better than ever. We feel like intrepid explorers forging North and we’d love you to join us on the adventure. We’ve already mentioned the fact that Pocket Gamer Connects Seattle will draw an international audience from all around the globe, but in some ways it’s the last word in that name that’s most important; Seattle. Not only have our previous delegates voted Connects the ‘best value conference’, but 97 per cent would recommend it to a colleague and 96 per cent tell us they’ll come back for more. Of course, it wouldn’t be a Pocket Gamer Connects without our Global Connects Party on the first night. Not only is it only a chance to unwind after a long day at the show, but it allows you to keep the networking going even when the sun has gone down! Just because the show’s ended business for the day, that doesn’t mean you have to! Time is running out to save money on Pocket Gamer Connects, as our mid term prices will soon end (April 18th). You could save up to $150. What are you waiting for? Book now!